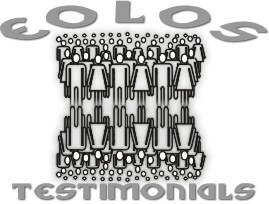 "All I can say is WOW this product from Eolos is great, I felt a change right off the bat. This product is weights for your lungs. I took 2 breaths with it right away and it felt like I had run a mile. "I confess that when I discovered Eolos I was skeptical about its results. However, now I can say with confidence that it has revolutionized my training. I am very meticulous with my training program and I like to take care of all the little aspects that are sometimes overlooked when training; running is not everything. In this case, Eolos enables me to exercise my lungs while I rest, read or listen to music. It is simply great." Raul Garcia Castañ. Spain. World Subchampion and Double Champion in Spain. Mountain Race. "I am from Ceuta and I have been spearfishing for 11 years and freediving since I was 16 years old. Also I practice many other sports to obtain physical and cardiovascular conditions required in spearfishing and freediving. For about a year I've been using Eolos and besides having noticed quick results, I have actually doubled my personal records. Now I am 21 years old and I fish comfortably at 26 meters underwater with apneas of 2 1/2 minutes. In static apnea I am above the 3 1/2 minutes mark. I am still young and have lots to learn and improve, that's why I will continue using Eolos and I strongly recommend it to all sportsmen that appreciate living in good health and a strong and proper breathing, because Eolos teaches how to breath." "This training actually works. I dedicate the first 5-10 minutes in class to train with Eolos, and I have seen how my students' performance has improved noticeably by adding this training session to the class. As a note, a variety of breathing exercises can be performed with this device, avoiding boreness and making training more fun..."
Stephen Loor, NY. Flute Professor. "My recuperation time is noticeably shorter than before. I like this breathe trainer." "Simple and efficient 100%. 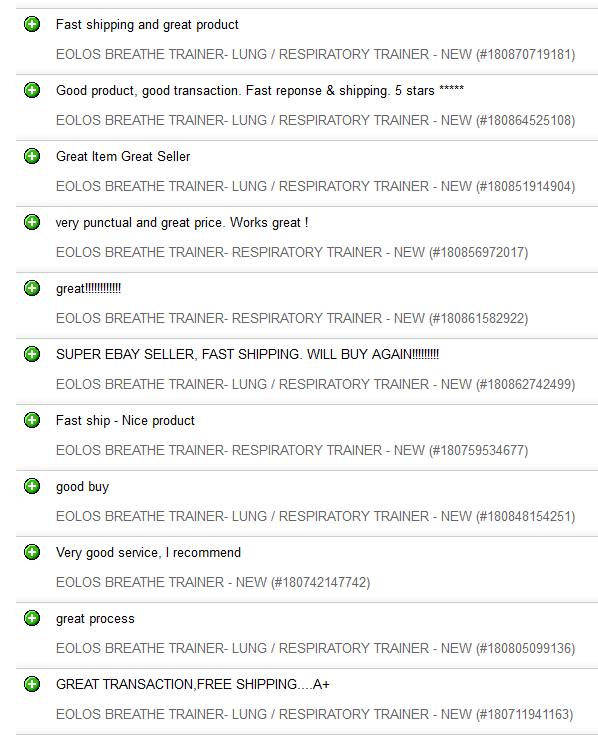 By far, Eolos offers the best quality/price ratio in its market." "My trainer recommended me to test it. Interesting enough, now it is me who advise my friends to use it. Thanks!" "I've been using Eolos for two months and I love the results. I never thought I could reach higher notes without much effort. My timbre has benefits from it. Also, I can now better control my vocal technique. I'll write more about it in a few more months." "In a few weeks you notice how easy the air enters your lungs and I like that sensation when training. My resistance level has increased as well. I recommend using Eolos before training." "The product is excellent. You can tell that it was designed keeping in mind the user, now I don't need to buy different trainers for different training levels. With Eolos I've found that it fulfills my training needs. Mind you, I did my research before deciding for this product and I found a few others that even offer instructions in DVD and extras like cleaning products that only add more unneccessary dollars to the final price tag. As said, I am glad someone finally thought about us consumers and is able to offer a quality product at an affordable price." 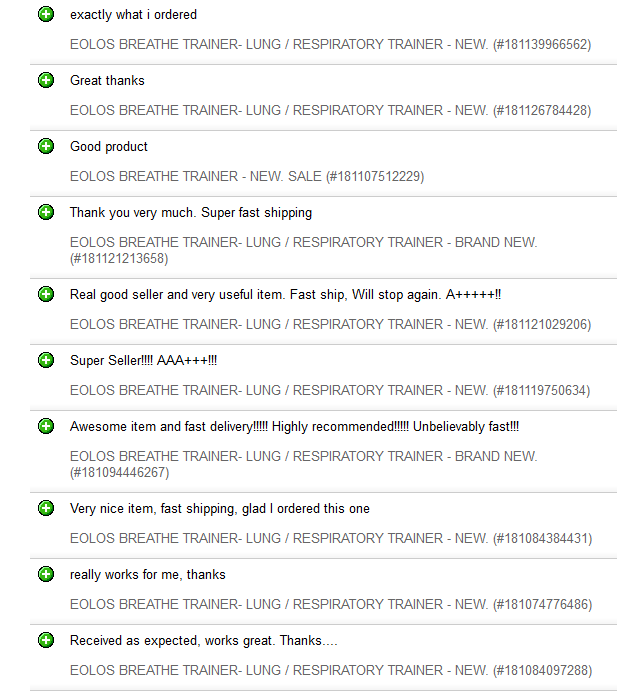 "I am pleased to have added Eolos training as supplement to my asthma treatment. My health has improved noticeably. 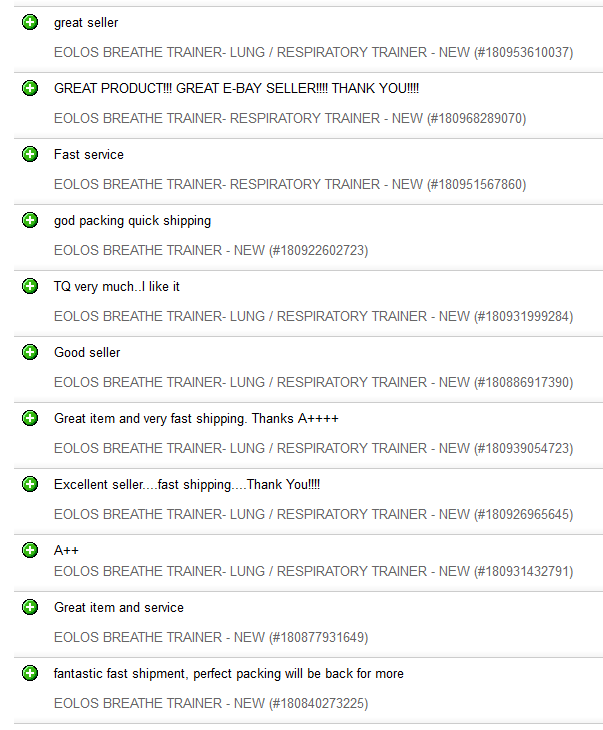 I am not saying that Eolos cures asthma, but I feel as it has helped me to diminish the symptoms. I still need to have a test ran to measure my actual lung capacity, but I feel it has increased. Besides, before using the product I had some doubts and when I called customer service I received a pleasant, quick attention and all my questions answered." "I was skeptical of Eolos until I decided to use it and felt for myself the results. Now, besides training my breathing technique with it, I have included a training section as part of my classroom curriculum. We have created a series of exercises and I even have encouraged my students to come up with their own suggestions." "Your trainer has helped me in stop smoking and now I even have more physical resistance. What can I say? Thanks a lot. I am recommending it to my friends." "I play the oboe and I am still in music school. It is incredible the way Eolos has helped me to overcome several of my technical problems. I discovered that most of my musical problems where rooted on how I exhale the air through the instrument! Now I have a more descent register, control better the air and my sound is nicer. Funny enough, I've even convinced my teacher to try it out." 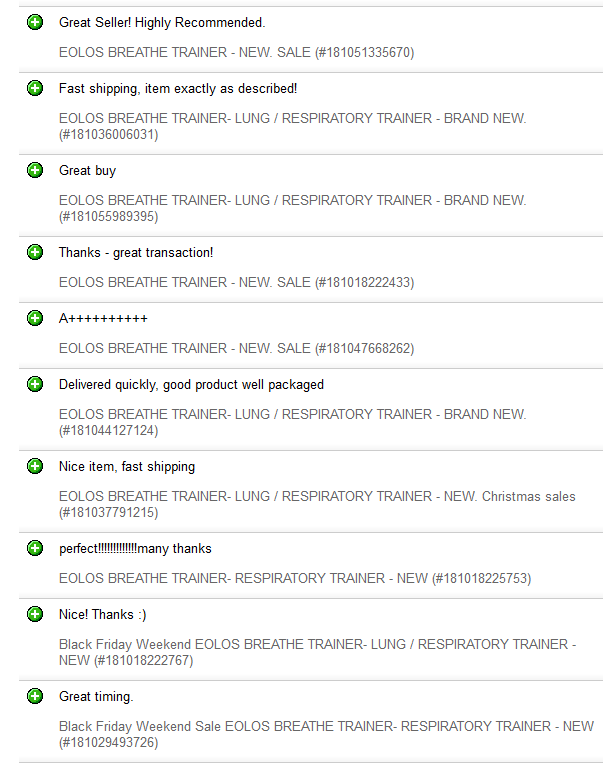 "My daughter gave me an Eolos for Christmas, saying that it would help me to gain more physical and lung resistance. I am 65 years old and a have been a smoker for 30 years. During the first few months I did not pay much attention to it until I cought I really bad flu and couldln't breathe so well. To make my store short, I gave it a try and after a month of using it daily I can say that she was right. I breathe better and don't get tired so quickly. Now, because I feel somewhat ‘healthier' I even have the will to stop smoking, it will take some time.. but it's a start." "I am a soccer player and read in a sports magazine about Eolos and its benefits. I am the kind of guy who likes to check out new products, so I got one. Well, right now I have been using it for 3 weeks and I can feel I got more lung power and I can run faster. I also play tennis. (though I am amateur in the game), and here to I feel the benefits of training with Eolos. in essence, I recommend it to all sportsmen." "My hobby is running. I started about 5 years ago and right now I run about 5 miles in 35 minutes, 4 times a week. I am part of a running club where I heard about Eolos. I decided to check it out online and give it a try. I have been using it for three months already and I have certainly noticed I have more resistance when running. Now I finísh my 5 miles in 33 minutes. 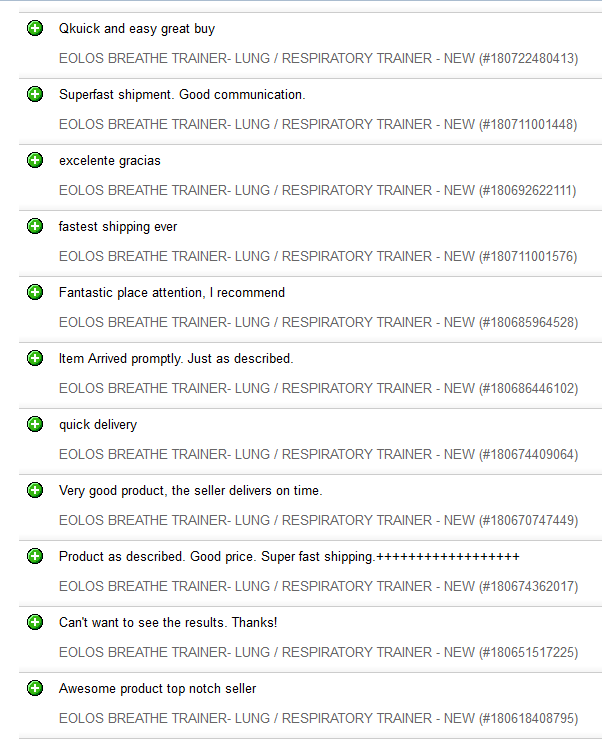 I think Eolos is an inexpensive way of training your breathing and for runners it is certainly a MUST have." "I am a spinning instructor and in my class in very important to work the body's cardiovascular system. 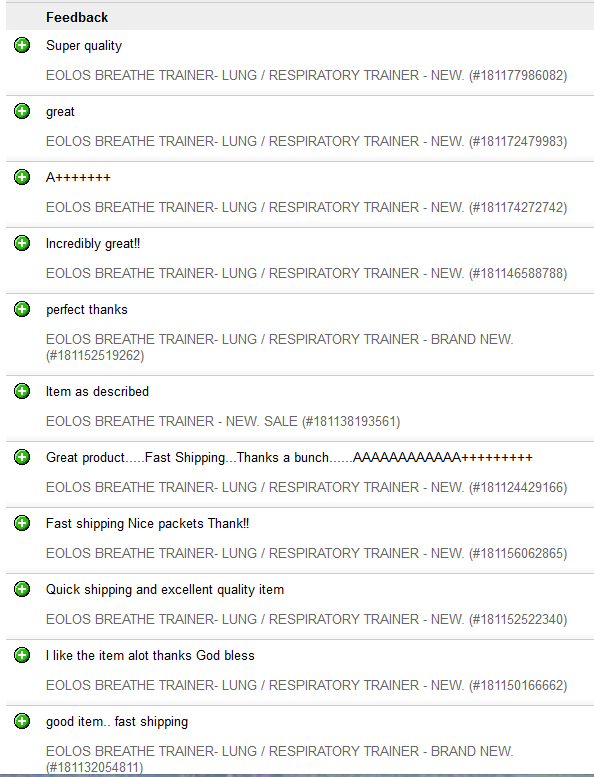 My boyfriend (who is also a gym instructor) heard about Eolos and how it helped in acquiring more lung capacity and resistance, so we decided to get one for each of us and test it out. I started using it about 1 ½ month ago and and I can feel how it has helped me in my classes. While spinning I can hardly feel fatigued and that makes me feel more energized. My boyfriend likes it too, so we both agreed to recommend it in our classes." 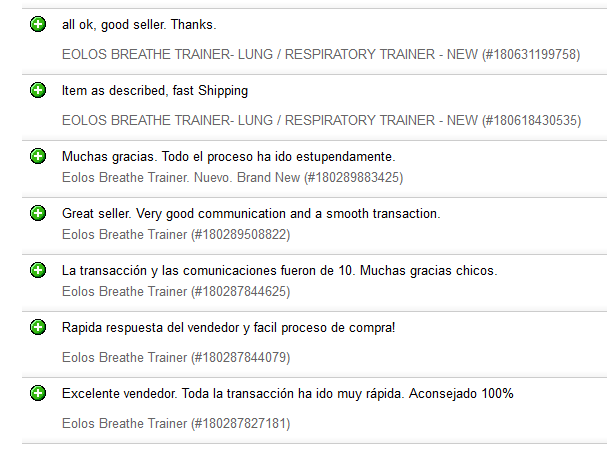 "My sensations with Eolos training can't be more positive. I keep a descent physical condition in order to properly face the various cross bike competitions I enter. Nevertheless, after three weeks of training with Eolos (currently my sessions consist of one day on and off), I was gratefully surprised to see and feel how my breathing had become easier, inhaling more air into my lungs, helping me to feel less fatigued and attaining considerably better recoup times. Different from road biking where often there are long uphills and down slopes.. descends when one can take advantage of the extra seconds to recuperate, in cross bike competitions, the surface is all flat with lots of curves and the recoup times are limited to the time that elapses between each curve. From there is the importance to achieve a faster recuperation in the short time available. Without a doubt, Eolos training has certainly helped me to achieve this objective." Fernando Gonzalez (El Dragonet de La Vila). Vilabikes. Cross Bike Runner. La Vila Joiosa, Alicante.